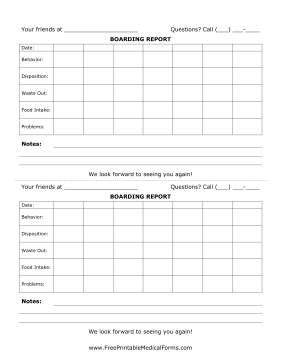 Whether you run a boarding facility or a vet's office, these boarding behavior sheets will help you communicate a pet's basic behavior to owners. There are sections for behavior, disposition, food, and problems, and an additional section for notes. Two reports are provided per page to cut down on printing.